But I think even the least romantic of us can be pulled back into nostalgia every now and then… usually when we least suspect it. 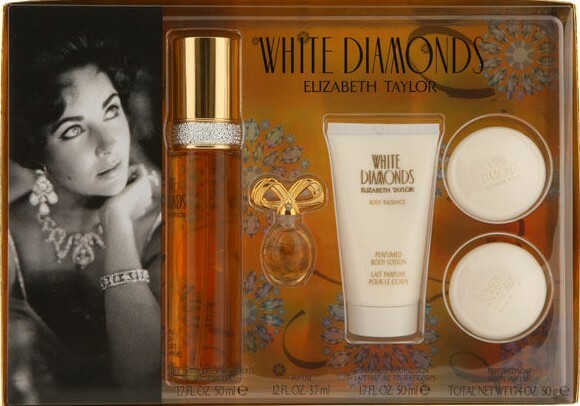 And so when I saw the photo of Elizabeth Taylor on the cover of the White Diamonds’ gift set… something pulled at my heartstrings. It brought me back to younger days and late-night movies and talk shows. You know with all the talk of Cate and Angelina and Beyoncé channelling old Hollywood glamour… they never really get close to the original goddesses of the time… and Elizabeth Taylor was certainly at the top of that list or darn near it. The creator of White Diamonds is Carlos Benaïm who also created Ralph Lauren Polo, Calvin Klein Eternity for Men and Frédéric Malle Eau de Magnolia. No doubt about it, Carlos knows his stuff! So when in 1991 he set out to capture old Hollywood glamour with White Diamonds, he hit the bull’s-eye! White Diamonds is a creamy-rich, elegant white floral with a woody base that could easily be marketed by a prestigious French house at twice the price. 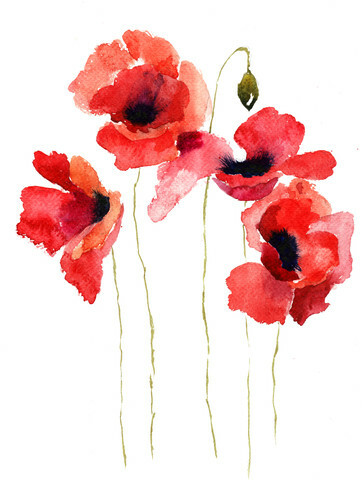 This fragrance is beautifully constructed… no jagged edges, not a shrill note to be heard. The top notes are aldehydes, bergamot, neroli, orange and lily. The heart unites the classical trio, violet, rose and jasmine, accompanied by ylang-ylang, Egyptian tuberose and narcissus. The base is composed of oak moss, patchouli, musk, sandalwood and amber. As you can see all the usual suspects are there but you’d be hard-pressed to pick out any individual note… at least I was, particularly in the heart. The overall effect is symphonic. The only problem I see with White Diamonds is one of perception. Because it’s a celebrity perfume, one automatically assumes that it will be badly made and leave you with a chemical stink bomb after all the lovely notes have evaporated. Not so. This one is gorgeous from beginning to end. Don’t let the blingy packaging and discount price fool you. For added sillage, I’ve been putting a drop of the parfum on my wrist preceded by Chanel’s ultra-expensivo Crème pour le Corps from their Les Exclusifs collection. Together, they’re sublime. If you had told me the combination was the latest Lauder fragrance, I would believe you. Serge Lutens? No, because White Diamonds is better than any Lutens floral. Guerlain? Probably not because the genre is off. Tom Ford? Yes. Chanel? I don’t know. If you see this package at the store, buy it and enjoy.